Can you imagine how fun it would be to speak to a fellow language lover who's encouraging you to share ALL your language questions, from comma conundrums to relative clause regrets? And how great would it be to have all this language joy just outside your front door? With excitement about any language? Let me tell you, this utopia exists in New York City. 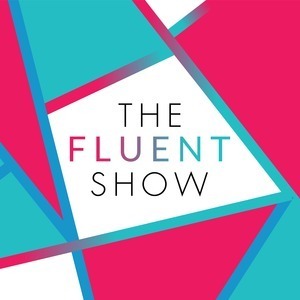 In today's episode, I brought back Ellen Jovin, one of the most inspiring language lovers I know. 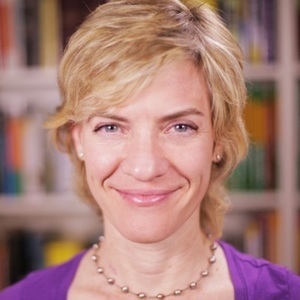 And Ellen has a brand new project to share - in fact, an inspiring message of encouraging conversation about language . 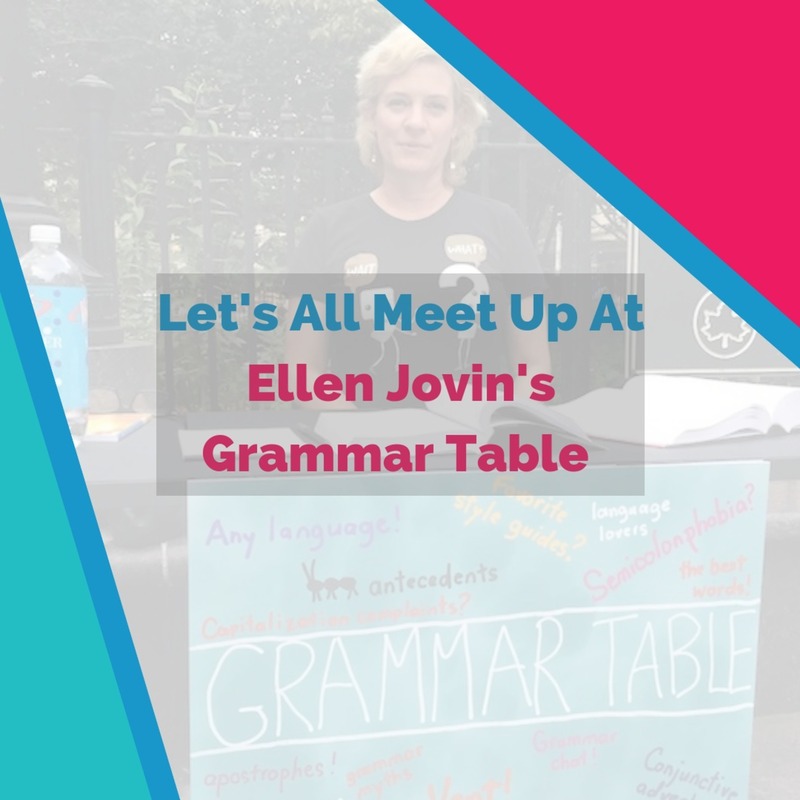 Ellen's new project is called Grammar Table, and it's free for all of us. What is Grammar Table, and where can you find it? 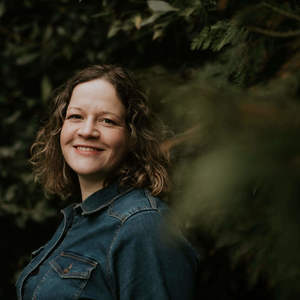 "Some people stay away from grammar table, it’s like I have toxic grammar syndrome or something"
"Grammar humility is an important principle to me." 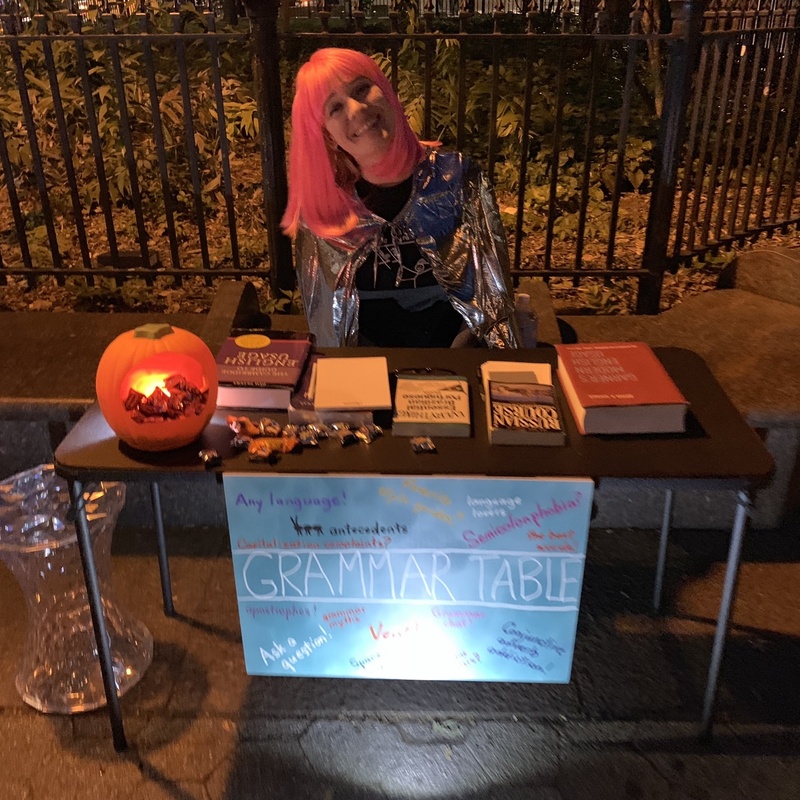 "Grammar table enables me to have conversations with strangers about a topic I love. And it’s got drama!" There is one swearword in this episode which we announce way ahead of time with a warning. Language can be like that. 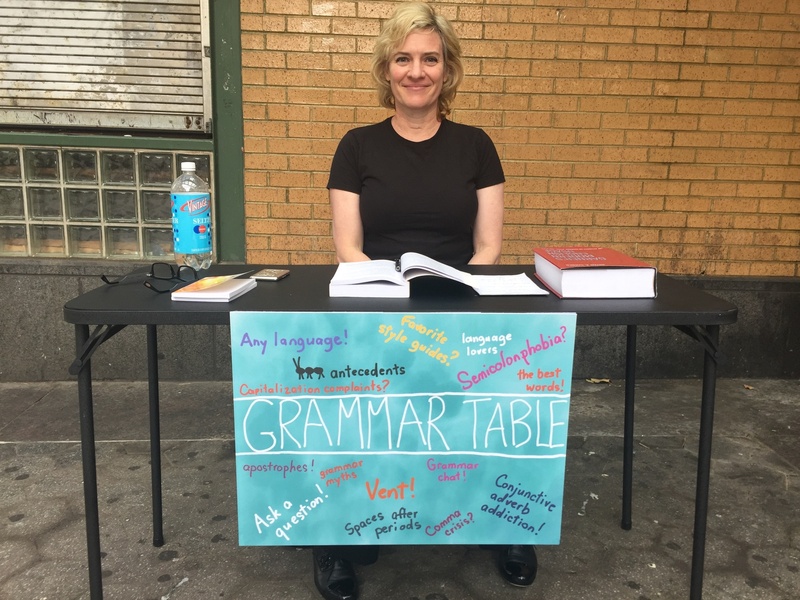 Grammar Table — You need nothing else in your life.